Nina Gualinga has long, black hair and high cheekbones, which are sometimes adorned with the traditional paint of her Kichwa heritage. 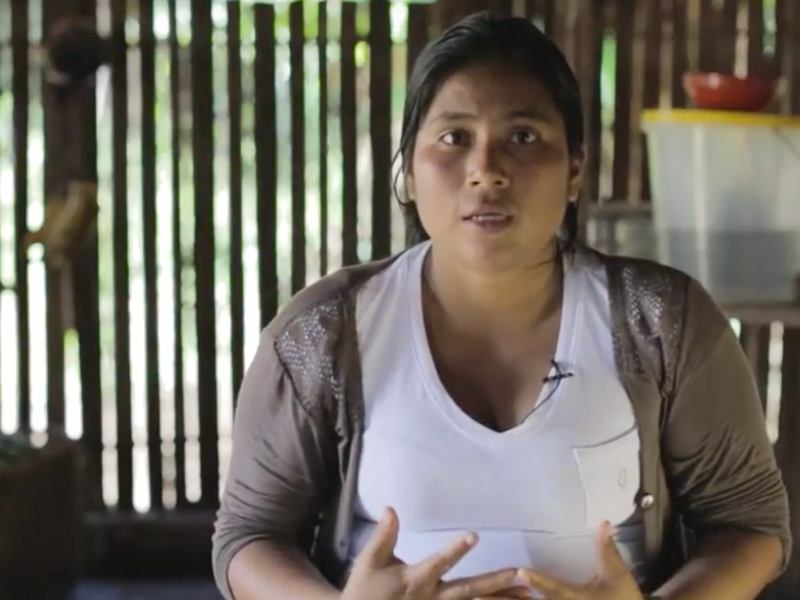 Educated in Sweden, Gualinga has returned to her hometown of Sarayaku, deep within Ecuador's Amazon rainforest, to advocate for indigenous rights. And her biggest opponents are domestic and foreign oil interests that want to tap billions of dollars' worth of oil from beneath the feet of the people of Sarayaku. Gualinga's environmental work pits her against formidable forces that go beyond big oil companies, including the governments of China and her own country. But she believes the Kichwa community's decades-long fight is worth it to preserve the culture and ecosystem that existed long before the demand for oil emerged. "People see indigenous people as very primitive. And many times the government, well, our president, he has called a lot of our leaders stupid and ignorant," Gualinga said. "I know that the things that I am doing will have a consequence in the future, but I'm not afraid." Ecuador has the third-largest oil reserves in South America – behind Venezuela and Brazil – and much of that supply is located beneath the Amazon. Decades of oil extraction have had devastating consequences for both the rainforest and for people, environmental advocates and court cases allege. A 2010 proposal, known as the Yasuni ITT initiative, sought to keep millions of barrels of oil under the Amazon. Backed by Ecuador's president, Rafael Correa, the plan asked developed countries to pledge funds that would replace the profits from oil extraction. But the plan failed when Ecuadorian leaders said they were unable to attract the foreign funds needed to preserve the area. Now, the government is moving to tap into previously untouched areas such as Yasuni National Park, which is believed to be one of the most biodiverse places on the planet. Although the U.S. has long been the leading importer of Ecuadorian oil, according to an analysis by the U.S. Energy Information Administration, demand from China has increased. But advocates believe they can still gain ground in their fight to protect the region's culture and the environment. The effort in Gualinga's home of Sarayaku, for example, has been hailed as a victory after decades of oil-related exploitation. In 2012, indigenous groups there won a settlement and an apology from the government for approving drilling on their territory without the permission of native communities. Andrew Miller, advocacy director for the nonprofit Amazon Watch, called the win in Sarayaku "a really inspirational case and one that had international reverberations." 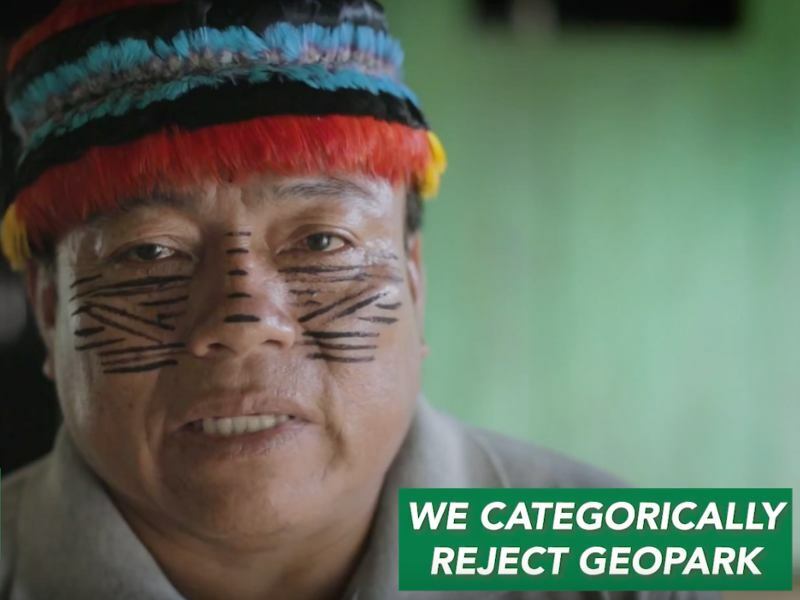 "[The people of Sarayaku] are very well organized, because they effectively stood up to government and multinational oil corporations, and they are very savvy with media," he said, citing a documentary called The Children of the Jaguar, which documents their struggle. 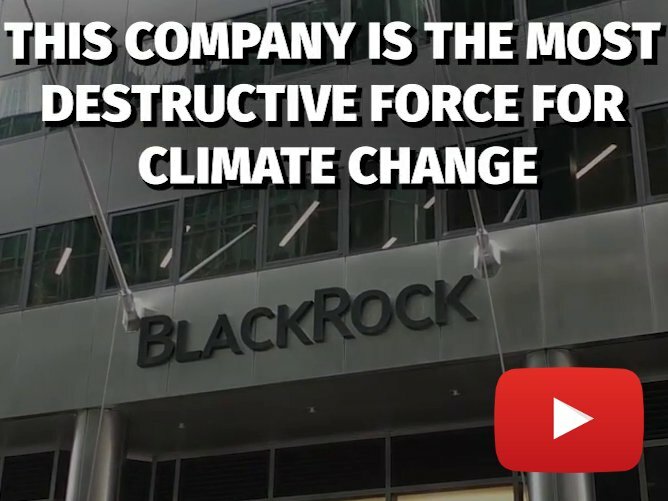 Similar battles are playing out across nations rich in natural resources. But in Ecuador, perhaps more than in other countries, female activists are on the front lines of the fight. 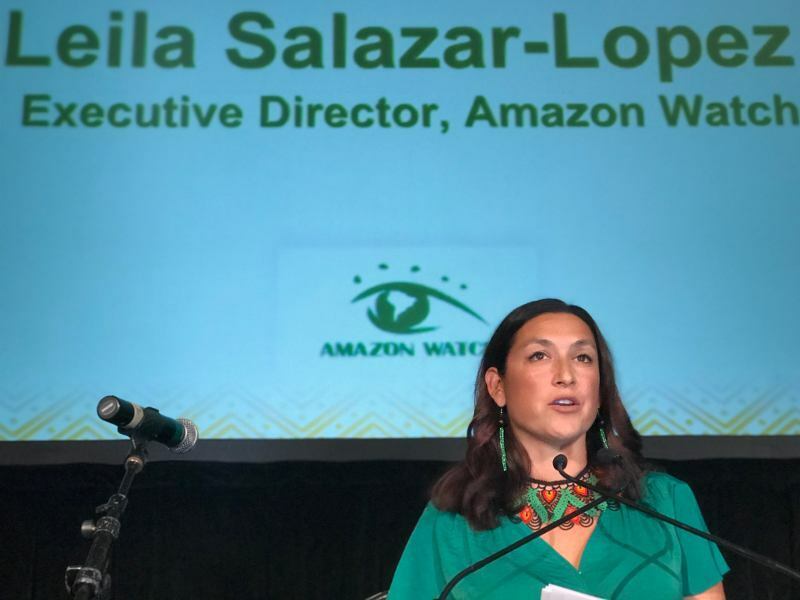 Miller, whose organization works with indigenous groups throughout the Amazon basin, said that in Ecuador, "there’s a whole slew of very powerful women" advocating for the environment. We have the privilege of working with very powerful indigenous women leaders in Colombia, Ecuador, Peru, and Brazil, so these folks do exist. [But] there is kind of a higher preponderance of leadership coming from women in Ecuador," Miller said. That trend doesn't come as a surprise to the women leading the charge. Esperanza Martinez, co-founder of the advocacy group Oil Watch, said the "close relationship between women and nature" makes them strong stewards of the environment. "We are the ones who put the seeds in the Earth, we are the ones who bring the water," she said. "But there is also a relationship that is a little more spiritual," she added. "And that relationship has been narrated in many of the indigenous stories, in which they reveal how the gods, or nature’s creatures, gave women these keys to understand, which is the way to relate with nature." That deep bond is guiding the work of female environmental activists in Ecuador and beyond. 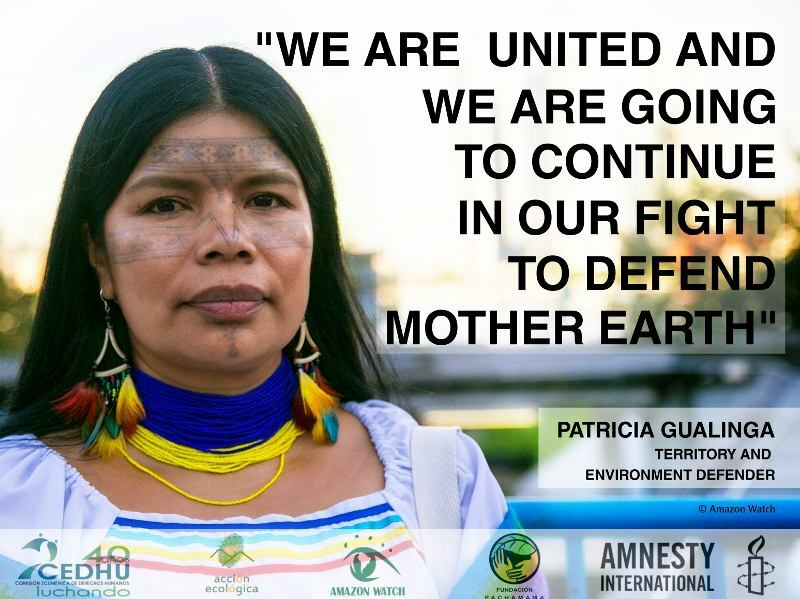 Gabriela Ruales, another Oil Watch activist, believes the "convergence between environmentalism and feminism" – what she calls "eco-feminism" – can transform and protect the world. "I think that the fight for the defense of nature, added to feminism, generates even more knowledge, more power…more sentiment, more conviction that it is important to transform, to destroy the patriarchal system," she said. "Because the destruction of nature destroys our bodies, too. So many things are so connected." The fight is expected to intensify, advocates fear, as the country moves toward extracting more oil, a development that could come as soon as next year. Ecuador's deal to repay loans from China with oil exports could increase pressure to drill, some advocates say. "We have a constant threat and we always have to be, you know, on our guard," Gualinga said. "There is not one moment that I can just lay down and say, 'This place is safe.'" But faith that continued activism will help give a voice to the people motivates her to continue her campaign. 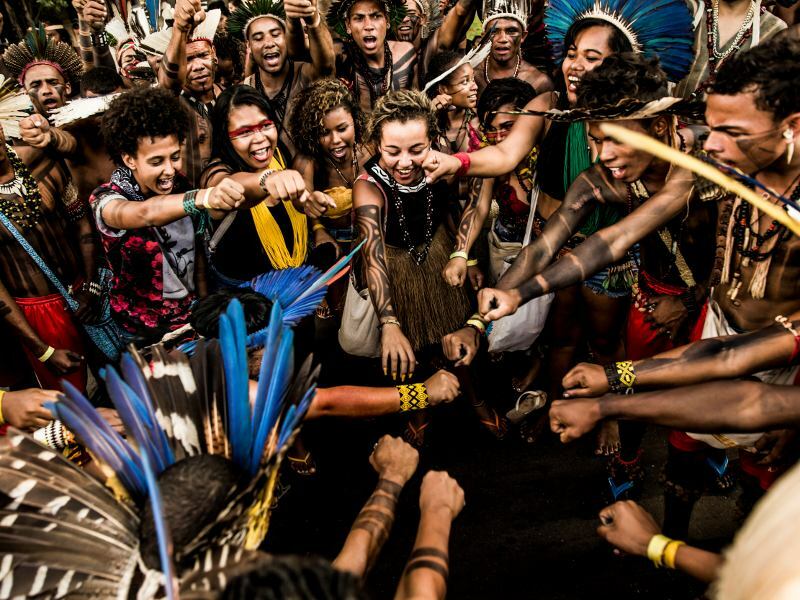 "I hope that indigenous people in Ecuador and all over the world decide about things that are going to affect their lives and not having someone else deciding for them," she said.